"Grand princess" redirects here. For the cruise ship, see Grand Princess. The title grand prince or great prince (Latin: magnus princeps, Greek: megas archon) ranked in honour below king and emperor and above a sovereign prince. It also ranked below an Archduke, although this is debatable. Grand duke is the usual and established, though not literal, translation of these terms in English and Romance languages, which do not normally use separate words for a "prince" who reigns as a monarch (e.g., Albert II, Prince of Monaco) and a "prince" who does not reign, but belongs to a monarch's family (e.g., Prince William, Duke of Cambridge). German, Dutch, Slavic and Scandinavian languages do use separate words to express this concept, and in those languages grand prince is understood as a distinct title (for a cadet of a dynasty) from grand duke (hereditary ruler ranking below a king). The title of grand prince was once used for the sovereign of a grand principality. The last titular grand principalities vanished in 1917 and 1918, the territories being united into other monarchies or becoming republics. Already at that stage, the grand principalities of Lithuania, Transylvania and Finland had been for centuries under rulers of other, bigger monarchies, so that the title of grand prince was superseded by a royal title (king/tsar) or an imperial one (emperor). The last sovereign to reign whose highest title was grand prince was Ivan IV of Moscow in the 16th century, until he assumed the rank of Tsar of Russia. When Ivan IV's pre-tsarist title is referred to in English, however, it is usually as grand duke. Velikiy knjaz is also a Russian courtesy title for members of the family of the Russian tsar (from the 17th century), although those grand princes were not sovereigns. Grand Prince, used in the Slavic and Baltic languages, was the title of a medieval monarch who headed a more-or-less loose confederation whose constituent parts were ruled by lesser princes. Those grand princes' title and position was at the time usually translated as king. In fact, the Slavic knjaz and the Baltic kunigaikštis (nowadays usually translated as prince) are cognates of king. However, a grand prince was usually only primus inter pares within a dynasty, primogeniture not governing the order of succession. All princes of the family were equally eligible to inherit a crown (for example, succession might be through agnatic seniority or rotation). Often other members of the dynasty ruled some constituent parts of the monarchy/country. 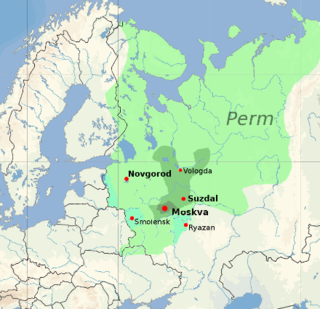 An established use of the title was in the Kievan Rus' and in the Grand Duchy of Lithuania (from the 14th century). Thus, Veliki Knjaz has been more like high king than "grand duke", at least, originally and were not subordinated to any other authority as more western (for example Polish) Grand Dukes were. As these countries expanded territorially and moved towards primogeniture and centralization, their rulers acquired more elevated titles. Grand Prince (Hungarian: Nagyfejedelem) was the title used by contemporary sources to name the leader of the federation of the Hungarian tribes in the 10th century. Constantine VII mentioned Árpád in his book De Administrando Imperio as megas Turkias arkhon, while Bruno of Querfurt referred to Géza in his Sancti Adalberti Pragensis episcopi et martyris vita altera as Ungarorum senior magnus. It was used by Géza and his son and heir Stephen of Hungary. In the Middle Ages, the Serbian veliki župan (велики жупан) was the supreme chieftain in the multi-tribal society. 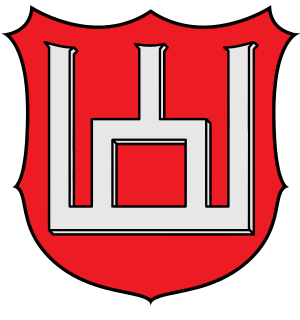 The title signifies overlordship, as the leader of lesser chieftains titled župan. It was used by the Serb rulers in the 11th and 12th centuries. In Greek, it was known as archizoupanos (ἄρχιζουπάνος), megazoupanos (μεγαζουπάνος) and megalos zoupanos (μεγάλος ζουπάνος). In the 1090s, Vukan became the veliki župan in Raška (Rascia). Stefan Nemanja expelled his brother Tihomir in 1168 and assumed the title of veliki župan, as described in the Charter of Hilandar (и постави ме великог жупана). A Latin document used mega iupanus for King Stefan the First-Crowned (Stephanus dominus Seruie siue Rasie, qui mega iupanus). Afterwards, it was a high noble rank with notable holders such as Altoman Vojinović (fl. 1335–59). Великий князь (Velikiy Knyaz; literally, great prince) was, starting in the 10th century, the title of the leading Prince of the Kievan Rus', head of the Rurikid House: first the prince of Kiev, and then that of Vladimir and Galicia-Volhynia starting in the 13th century. Later, several princes of nationally important cities, which comprised vassal appanage principalities, held this title (Grand Prince of Moscow, Tver', Yaroslavl', Ryazan', Smolensk, etc.). From 1328 the Grand Prince of Moscow appeared as the titular head of eastern Rus' and slowly centralized power until Ivan IV was crowned tsar in 1547. Since then, the title grand prince ceased to be a hereditary office and became a generic title for members of the Imperial family until the Russian Revolution of 1917. The Lithuanian title Didysis kunigaikštis was used by the rulers of Lithuania, and after 1569, it was one of two main titles used by the monarch of the Polish-Lithuanian Commonwealth. The kings of Poland from the Swedish House of Vasa also used this title for their non-Polish territories. This Lithuanian title was sometimes latinized as Magnus Dux or Grand Duke. In 1582, king John III of Sweden added Grand Prince of Finland to the subsidiary titles of the Swedish kings, however without any territorial or civic implications, Finland already being a part of the Swedish realm. The Holy Roman Empire ruling house of Habsburg instituted a similar Grand Principality in Transylvania (Siebenburgen) in 1765. After the Russian conquests, the title continued to be used by the Russian emperor in his role as ruler of Lithuania (1793–1918) and of autonomous Finland (1809–1917) as well. His titulary included, among other titles: "Grand Duke of Smolensk, Volynia, Podolia", "Lord and Grand Duke of Nizhni Novgorod, Chernigov" etc. A more literal translation of the Russian title than grand duke would be great prince — especially in the pre-Petrine era — but the term is neither standard nor widely used in English. In German, however, a Russian Grand Duke was known as a Großfürst, and in Latin as Magnus Princeps. Grand prince remained as a dynastic title for the senior members of the Romanov dynasty in Russia's imperial era. The title Velikiy Knyaz, its use finally formalized by Alexander III, then belonged to children and male-line grandchildren of the emperors of Russia. The daughters and paternal granddaughters of the emperors used a different version of the title (Великая Княжна, Velikie knyazhna) from females who obtained it as the consorts of Russian grand princes (Великие Княгини, Velikie knjagini). In modern times a Russian Grand Duke or Grand Duchess is styled Imperial Highness. The title grand prince was also used for the heir apparent to the Grand Duchy of Tuscany. ^ Francis William Carter; David Turnock (1999). The States of Eastern Europe. Ashgate. p. 252. ISBN 978-1-85521-512-2. ^ John Van Antwerp Fine (1991). The Early Medieval Balkans: A Critical Survey from the Sixth to the Late Twelfth Century. University of Michigan Press. pp. 225–. ISBN 0-472-08149-7. ^ Paul Stephenson (29 June 2000). Byzantium's Balkan Frontier: A Political Study of the Northern Balkans, 900-1204. Cambridge University Press. pp. 267–. ISBN 978-0-521-77017-0. ^ Jovo Radoš (2000). Počeci filozofije prava kod Srba. Prometej. ^ Radovi. 19. 1972. p. 29. Grand Duke of Finland or the Grand Prince of Finland, was from around 1580 to 1809 a title in use by most Swedish monarchs. Between 1809 and 1917, it was the official title of the head of the autonomous Grand Duchy of Finland, who was the Emperor of Russia. The anachronistic female form of the title in English is usually Grand Princess of Finland. The only women to have used the title were the Swedish Queens regnant Christina and Ulrika Eleonora. A few crown princes of Sweden also were called Grand Prince of Finland. The following is a list of rulers over Lithuania—grand dukes, kings, and presidents—the heads of authority over historical Lithuanian territory. The timeline includes Lithuania as a sovereign entity or legitimately part of a greater sovereign entity as well as Lithuania under control or occupation of an outside authority. The incumbents and office-holders are listed by names most commonly used in English language. Where appropriate, the alternations in Lithuanian, Ruthenian and Polish are included. The Gediminids were a dynasty of monarchs in the Grand Duchy of Lithuania that reigned from the 14th to the 16th century. One branch of this family, known as the Jagiellonian dynasty, reigned also in the Kingdom of Poland, Kingdom of Hungary and Kingdom of Bohemia. Several other branches ranked among the leading aristocratic dynasties of Russia and Poland into recent times. This is a list of those members of the Russian Imperial Family who bore the title Velikiy Knjaz. This courtesy title was borne by the sons and male-line grandsons of the Emperors of Russia, along with the style of His Imperial Highness. They were not sovereigns, but members and dynasts of the House of the reigning Emperor. Jogaila, later Władysław II Jagiełło (ca.1351/1361–1434), was a Grand Duke of Lithuania and from 1386 Queen Jadwiga's husband and jure uxoris King of Poland. In Lithuania, he held the title Didysis Kunigaikštis, translated as Grand Duke or Grand Prince.